Located on the southwestern coast of British Columbia, Vancouver Island is a pleasant 1.5 hour ferry ride from Vancouver aboard a BC Ferry . 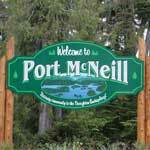 From Nanaimo, we are then a 4 hour / 350 km drive up the scenic coastline to Port McNeill. 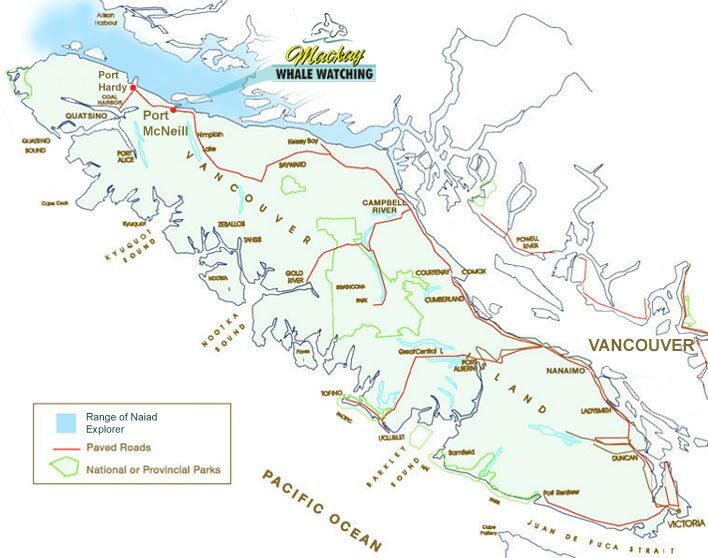 One can also arrive by plane with Pacific Coastal Airlines landing in Port Hardy, 45 km away. (Laidlaw Bus Lines offers service to Port McNeill). For the person on the great adventure holiday there is also a ferry from Prince Rupert down to Port Hardy, approximately a 20 hour trip along the beautiful Pacific Coast. Our office is located at 1514 Broughton Blvd. across from the Port McNeill museum. Simply look for our banner ! Free parking is provided. Our local telephone number is 250-956-9865.